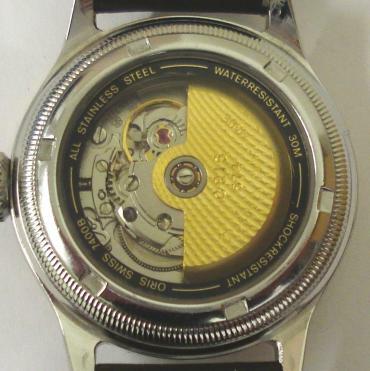 Stock Number: WWOR116 - Oris 7400 BC Mid Size Automatic Wrist Watch - £425. 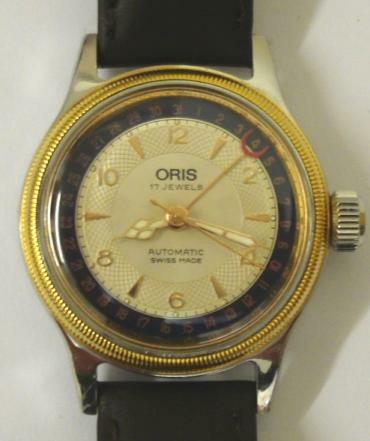 Oris 7400 BC All Stainless Steel mid size automatic wrist watch in a stainless steel case on a brown leather strap with gilt buckle. 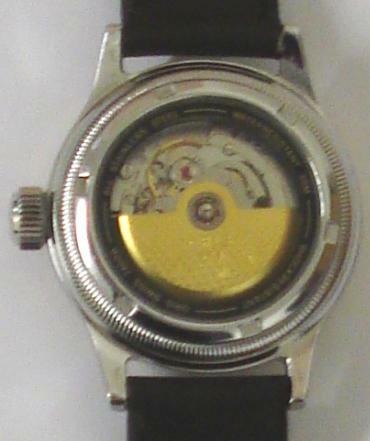 Gold plated bezel above a silvered dial with gilt baton and arabic hour markers and matching gilt luminous insert hands with sweep seconds hand. Red tipped date pointer hand indicating on an outer dark blue date track. 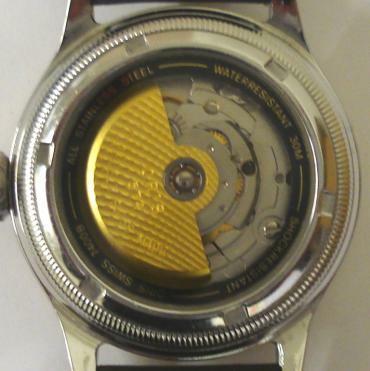 Swiss made Oris 574 17 jewel incabloc movement with screw on case back, water resistant to 3 bar / 30 metres.